The much awaited loafing barn project is complete!!! It looks so nice in there and the cows are loving a soft place to lay. 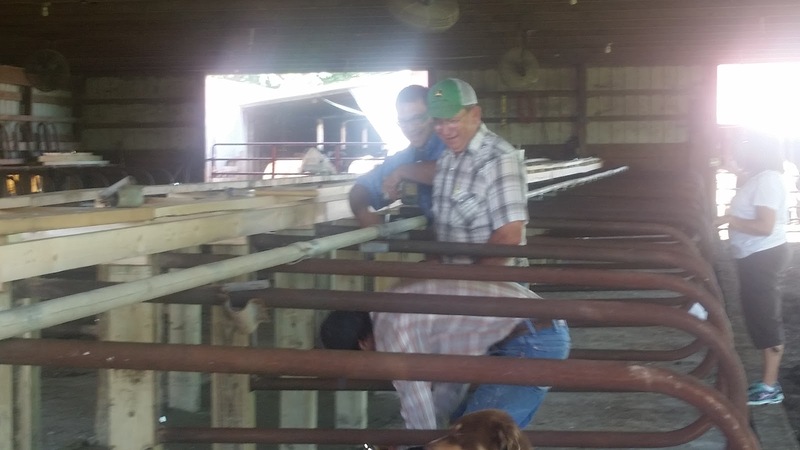 Jer, Ty and our neighbor worked day in and day out, in between milkings and daily chores. It also smells good in there too, like fresh cut wood. This project was big…probably our biggest project to date! Little by little we are fixing this place up, doing a lot of cosmetic work as well. It shows when someone takes care and pride in their home or farm in this case. It takes time and I know we will get there eventually, Rome wasn’t built in a day right?!? 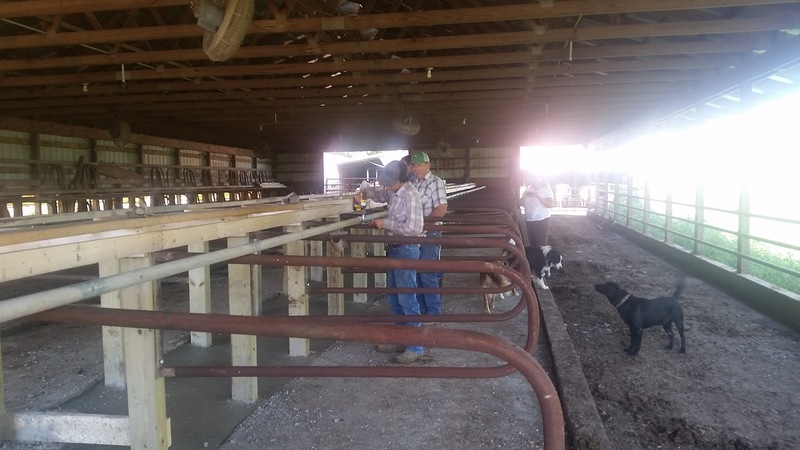 The way loops stalls work is, one cow lays in each stall and their “hind-end” sits towards the back, so when they go to the “bathroom” it falls in the ally way. 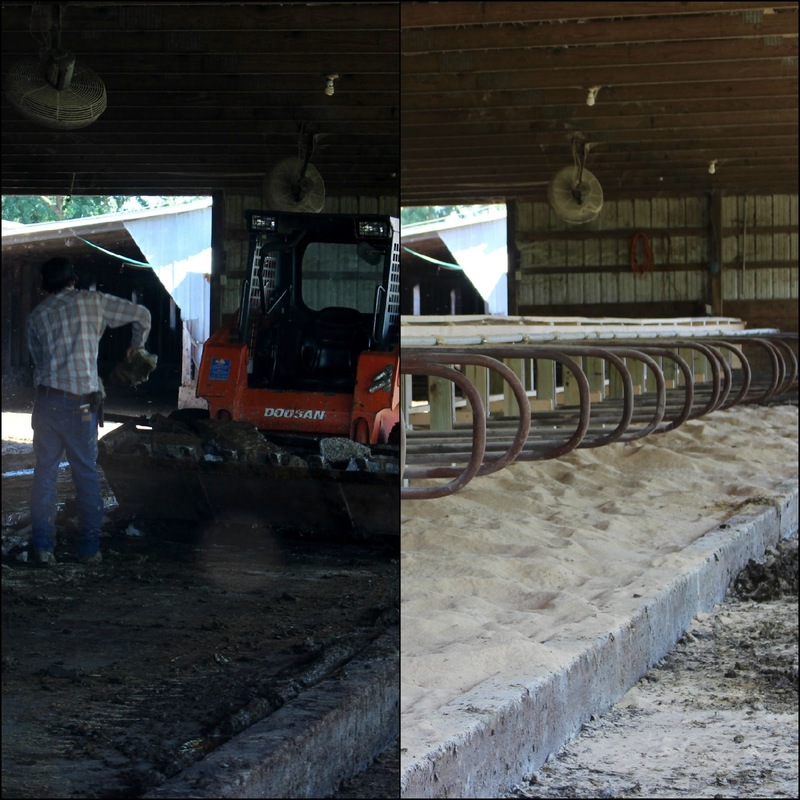 Then after each milking the guys come through and scrape it all away, it really helps with the cleanliness and cow comfort. Remember what it looked like before!?! Big difference huh? Here are some actual working picture of them bolting and installing the loops, prebedding, precleanup. As snapped these with my phone so they aren’t as clear but you can see the guys were laughing at Ty for something, not to surprising when we are all laughing at each other for something. 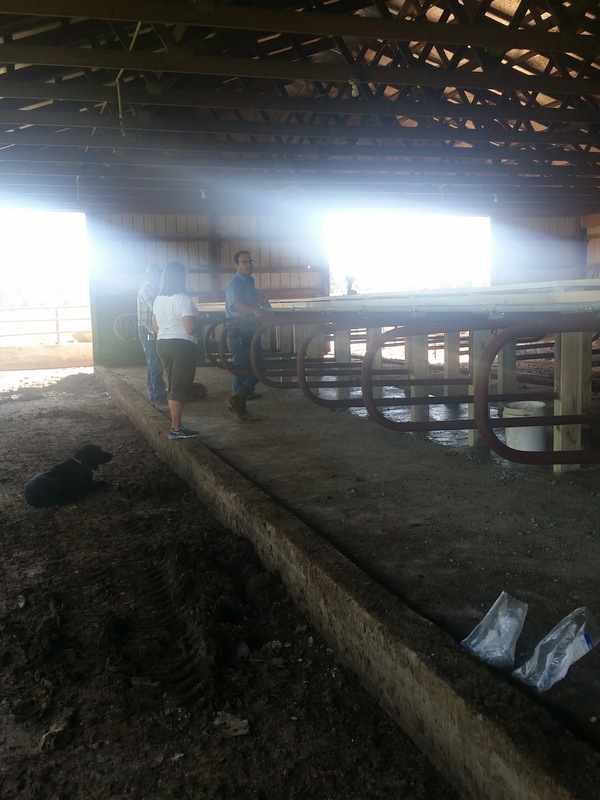 I hope you enjoyed all the progress pictures through out the project loafing barn renovation project.